“Being Mary Jane” is a Black Entertainment Television (BET) show created by Mara Brock Akil, which stars Gabrielle Union as Mary Jane Paul. It centers around an African American journalist and her struggles as a black woman, a career woman, and a single woman. All of these struggles are challenging in and of themselves, but when combined, they make for a daunting daily life. December 15th’s Season 3 Finale ended with Mary Jane in shock as she watches a video of a young black woman lying on the ground, being tased by a traffic cop during what appears to be a routine traffic stop. For those who don’t know, this is eerily similar to the young woman, Sandra Bland from Illinois, who was stopped on the campus of Prairie View A&M University in Texas where she had graduated and was returning to start employment. Ms. Bland had challenged the officer who pulled her over for improper lane change, and later died while in police custody. Her death was ruled a suicide from a self inflicted hanging while in her jail cell. In the episode, Mary Jane Paul stands stunned and unable to speak as she realizes the young black woman on the ground is her niece, Niecy, played by Raven Goodwin. The episode ends with Mary Jane in a fog, unable to hear or speak as her staffers surround her, yelling and indignant about this—yet another atrocity—visited upon a black woman. 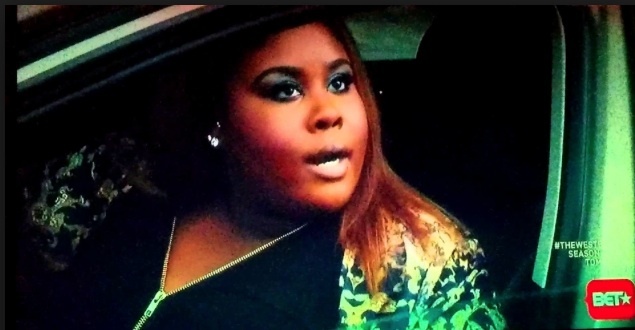 Niecy refuses to show her license and registration unless the officer tells her why he stopped her. When he tells her the music was too loud, Niecy challenges his stop as unlawful and one he can’t make because there is no law about how loud one’s music can be. When the officer tells her to get out of the car, she refuses. As you can imagine, things become heated and escalate because the officer is not going to be challenged and just back down. His partner comes up on the passenger side, while the challenging officer opens Niecy’s car door, and wrestles her from the car. Then, he pulls out what looks like a gun and fires. To the viewers relief it’s a taser (Niecy is an important character to the show and we certainly didn’t want to see her killed). All this brings me to several points that are being discussed all over these United States and in all of our communities—especially in the black and Latino communities—since this seems to happen to black and Latino youth in a disproportionate number of cases. Point number one is, obey the officer’s command: whether it’s right or not, the man has a badge and a gun and he’s already afraid. Point number two is, a young person’s rights mean almost nothing when they’re stopped by a cop: Maybe Niecy did have the right to play her music loud. Maybe the officer couldn’t put his hand on her car door and open it without her permission, but he did. Point number three is, obey: This man represents the law. He is the authority. In all but the most extreme cases, and with all but the meanest of officers, you can live to fight another day. Point number four is, police may not only need tolerance and sensitivity training, but they may also need training in the law as well: If police are going to enforce laws, shouldn’t they know what the laws are as well as the citizens do? It’s a fact that some police are operating above the law and no man, not even the President is above the law. “I think a basic principal of our Constitution is nobody above the law.” —Barack Obama. Since rogue cops in many communities feel that they’re above the laws they were hired to enforce, Let’s teach our kids that they have the right to remain alive and that right prohibits them from challenging these cops just because they know their rights. We have seen a television character say to the lead officer on a police drama, “I know my rights!” The officer calms down and backs off because, “Oh my God,” he doesn’t want to violate this character’s rights. Not so in real life. And to live to die another day and for a much better reason than changing lanes without a signal, in Bland’s case, or playing music too loudly, as was the case on “Being Mary Jane”. Well done, Linda – I couldn’t agree more! You just don’t know who you’re dealing with sometimes. Better to be safe than end up like some of these victims of police brutality. Having said that, we need to be careful about characterizing all police officers as racist thugs. Probably very few police officers are thugs, John! I agree. It’s the bad apples in any profession who mess it up! Excellent points that can serve to keep young people from getting seriously hurt. Absolutely! Thanks for commenting, John. Excellent points. It’s the same as with a kid and a parent questions them or disciplines them for something they may or may not have done. The parent may not always be right but that’s beside the point. All people should always be respectful of one another. And in all cases, as with a parent or other adult, don’t back talk a police officer no matter if he or she is right or wrong. They see a discussion such as the one mentioned as talking back and being disrespectful to them. As where the person being pulled over not knowing what type of cop they are, the cop also doesn’t know what type of person it is they’re dealing with. Like you said, ‘they are already scared.” Their life is in danger every time they make that stop. I have friends who are police officers and I know they are only human. Plus, they have a badge and the authority to enforce laws. They’re not ones to go back and forth with. I agree, Linda. I also agree that police officers should be trained to know the law better than a regular person as you said in your post. The pull over point isn’t a place to debate and normally only escalates an already bad situation. The debate can come later in the court. Ha-ha! I can believe it! Maybe you should’ve been a lawyer! I thought they were, too, Bette. This episode stayed with me and I had to write about it.